We used to resolve conflict by letting the matter rest, or having one party give in. After attending Connect2, we learnt a variety of communication techniques to aid us in conflict resolution and the importance of addressing issues as quickly as possible. I also appreciated the facilitators' honest sharing of their own experiences; it gave us great insight as to what to expect in our marriage. For more information on the mandatory Early Marriage Support Programme for minor couples, please refer to the MSF website. What are some of the topics that will be covered over the course of the workshop? Apart from these topics, there will be group discussions and activities for individual couples to enrich their learning experience. Do you have Christian content in your curriculum? Our curriculum is based on universal values that are applicable and essential to helping marriages thrive, regardless of participants’ religious background. What are the strengths of your marriage preparation program? Our participants have shared that they particularly enjoy the interactive and experiential style of learning we offer at our sessions. They also value the practical tips shared which they feel can be readily and easily implemented. Participants also appreciate the opportunities given to them during the sessions to have deep and honest discussions about topics that are not usually raised in usual conversations that couples have prior to marriage. Will there be a discussion/elaboration on specifically the shift from patriarchal gender roles to today's shared responsibility of a couple (e.g. both working full time)? The shifting of roles in marriage will be addressed in the Connect2 marriage preparation program through activities and discussions. Each couple will be given opportunities to discuss and align expectations that they have towards each other regarding parenting responsibilities, distribution of household chores, management of the household budget and a myriad of other issues that will help them establish a firm foundation in order for their marriage and family to thrive. How many couples will there be in the workshop? To ensure positive workshop dynamics especially during the group discussions and activities, there will be a minimum of 6 couples each workshop, and a maximum of 10. What are the differences between Marriage Builders and Connect2? Marriage Builders is a personalised coaching program designed for couples, whether they are engaged or married. Couples will be guided through the program with a trained counsellor. Connect2 is a marriage preparation program that aims to help couples address issues that they may face as newlyweds. Connect2 workshops are conducted by accredited husband and wife facilitators. Connect2 is conducted over 2 Saturdays, 1pm – 6pm, in a group workshop format, while Marriage Builders is conducted over 3 x 2hrs sessions, in a one-to-one format. Since it’s a 5-hour session, will there be lunch/tea break provided during the workshop? What is the Couple Checkup Assessment? The Couple Checkup is an online relationship assessment that automatically tailors the content of the inventory to match the stage (dating, engaged, married) and structure (cohabiting, children, blended family, etc.) of a couple’s relationship. The Couple Checkup is based on content from the widely used PREPARE/ENRICH program developed from 30 years of research at the University of Minnesota. Couples can create an account, complete the inventory, and print their own results. The results provide a snapshot of how both partners felt about their relationship as they completed their inventory. This assessment can also help couples identify their strengths and growth areas, increase discussions, and motivate lasting behaviour change. How can I access the Couple Checkup? Nearing the workshop date, you will receive an email which will provide you the voucher code required for creating an account. Step-by-step instructions will also be included in the email to assist you. I’m facing difficulties accessing the Couple Checkup. Kindly assist please. Can my fiancé/fianceé come on his/her own if I can’t make it? We do not advise this. The program is effective only if a couple attends the session together. Due to last minute commitments, I’m unable to attend the workshop. Can I get a refund? A 50% administrative charge is required for any withdrawals made at least 2 weeks prior to the start of the workshop. No refund will be given for any withdrawals made within 2 weeks of the workshop, or in cases of non-attendance. Registrants may be eligible for a transfer to an alternative workshop if the request is made at least 2 weeks before start of workshop. I am unable to make payment online. What should I do? Alternatively, you may write a cheque to us and address it to Focus on the Family Singapore Ltd. We will process a backend registration for you in cases of cheque payments. Must I have an account with PayPal in order to make payment? No, a PayPal account is not required to make payment. Upon selecting the PayPal option at the Checkout page, you will be directed to the PayPal page where you are given 2 options to choose from – “Make payment with your PayPal account” & “Proceed to make payment without a PayPal account”. Select the latter option and you will be able to proceed with the transaction. Are all Connect2 couples eligible for the rebate? Will Focus on the Family Singapore be able to provide solemnisers for workshop attendees? Once we have confirmed the availability of our solemnisers, we will link you up with the confirmed solemniser. How early in advance should I send in a request for a wedding solemniser? According to ROM’s guidelines, wedding solemnisers can only confirm their allocation 3 months in advance. For example, if your wedding is in July, we can only begin sourcing for a solemniser starting April. 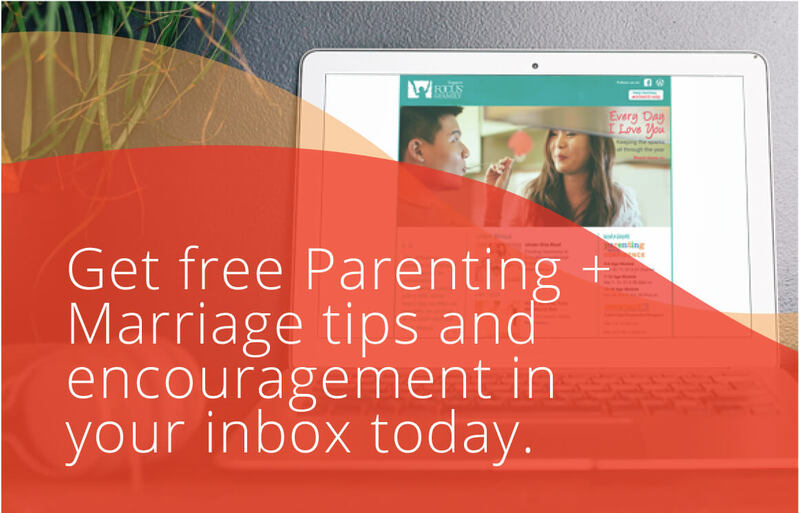 A marriage preparation program to help couples address issues that all newly weds face. Be equipped to avoid the pitfalls of marriage and build a solid foundation for your relationship to last a lifetime!